I ordered a 29 x 2.25 and 2.35. I have about ten hours on them so far, and some molding sprues are still on the center of the rear! This indicates excellent durability for the rubber. On mud, dry, or loose the traction is excellent. The 2.35 is coming in at 2.25 wide on my 23mm rims. I would still buy again though. Switched from Maxxis Aspen Race Exo/3C/TR 27.5 x 2.2 to the 2.25 width on the front. 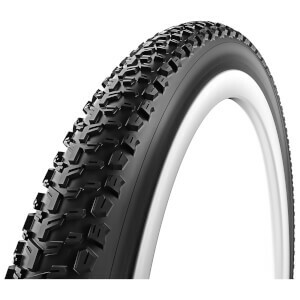 This tire is offers velcro-like grip in comparison to the Aspen Race, higher volume, knobbier and less expensive. I don't need to lean it over as much to get the tire to bite. It offers so much grip even in dry dusty conditions and is so predictable when leaned over. The sidewalls are a lot more supple and the compound/tread is amazing. Significantly better cornering and braking than the Aspen Race with similar or better rolling resistance. I just bought a 2nd one as a back-up/spare just to make sure I have another one of these tires for the future.